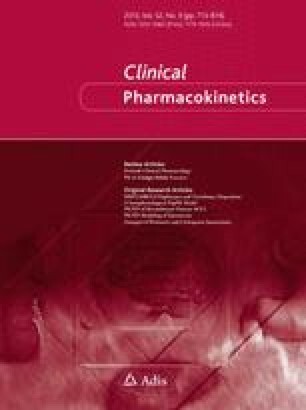 Cytochrome P450 2C19 (CYP2C19) is the main (or partial) cause for large differences in the pharmacokinetics of a number of clinically important drugs. On the basis of their ability to metabolise (S)-mephenytoin or other CYP2C19 substrates, individuals can be classified as extensive metabolisers (EMs) or poor metabolisers (PMs). Eight variant alleles (CYP2C19*2 to CYP2C19*8) that pre-diet PMs have been identified. The distribution of EM and PM genotypes and phenotypes shows wide interethnic differences. Nongenetic factors such as enzyme inhibition and induction, old age and liver cirrhosis can also modulate CYP2C19 activity. In EMs, ∼80% of doses of the proton pump inhibitors (PPIs) omeprazole, lansoprazole and pantoprazole seem to be cleared by CYP2C19, whereas CYP3A is more important in PMs. Five-fold higher exposure to these drugs is observed in PMs than in EMs of CYP2C19, and further increases occur during inhibition of CYP3A-catalysed alternative metabolic pathways in PMs. As a result, PMs of CYP2C19 experience more effective acid suppression and better healing of duodenal and gastric ulcers during treatment with omeprazole and lansoprazole compared with EMs. The pharmacoeconomic value of CYP2C19 genotyping remains unclear. Our calculations suggest that genotyping for CYP2C19 could save approximately $US5000 for every 100 Asians tested, but none for Caucasian patients. Nevertheless, genotyping for the common alleles of CYP2C19 before initiating PPIs for the treatment of reflux disease and H. pylori infection is a cost effective tool to determine appropriate duration of treatment and dosage regimens. Altered CYP2C19 activity does not seem to increase the risk for adverse drug reactions/interactions of PPIs. Phenytoin plasma concentrations and toxicity have been shown to increase in patients taking inhibitors of CYP2C19 or who have variant alleles and, because of its narrow therapeutic range, genotyping of CYP2C19 in addition to CYP2C9 may be needed to optimise the dosage of phenytoin. Increased risk of toxicity of tricyclic antidepressants is likely in patients whose CYP2C19 and/or CYP2D6 activities are diminished. CYP2C19 is a major enzyme in proguanil activation to cycloguanil, but there are no clinical data that suggest that PMs of CYP2C19 are at a greater risk for failure of malaria prophylaxis or treatment. Diazepam clearance is clearly diminished in PMs or when inhibitors of CYP2C19 are coprescribed, but the clinical consequences are generally minimal. Finally, many studies have attempted to identify relationships between CYP2C19 genotype and phenotype and susceptibility to xenobiotic-induced disease, but none of these are compelling. This work was funded in part by grants T32-GM 08386, R01-GM 56878-01 and U01GM61373-01 from the National Institute of General Medical Sciences, Bethesda, MD, USA, and by a Merck International fellowship award to Dr. Shin.